Hermitage Capital and its law firm in Moscow, Firestone Duncan, had their offices searched under the pretext of an investigation into a company called Kameya, of which Cherkasov was general director. During the search, documents of the Hermitage Fund’s companies were seized unlawfully and used later to fraudulently re-register those companies into the names of previously convicted criminals. The criminals then fraudulently applied for $230 million of taxes that Hermitage Fund’s companies had paid in Russia. Following his investigation, Swiss MP Andreas Gross, the Council of Europe’s Rapporteur, concluded that the case against Kameya was not a bona fide investigation. “I conclude that the criminal case must have been opened for other reasons than the bona fide pursuit of criminal justice. One of the real reasons might well have been to justify the two “raids” on the offices of Firestone Duncan and Hermitage, during which items were taken by the investigators, which, as it is alleged, were later used in the commission of the tax reimbursement fraud denounced by Sergei Magnitsky,” said the Council of Europe’s Rapporteur in his report. The case alleged tax underpayment by Kameya, despite the fact that the companies had received clean tax audits from the Russian Federal Tax Service. In his testimony, Sergei Magnitsky had stressed that the case against Kameya was fabricated by the officers of the Interior Ministry in order to commit fraud against Hermitage. The officers from the Interior Ministry who were in charge of the Kameya case, Karpov and Silchenko, have been sanctioned for their role in the Magnitsky case by the U.S. government. All appeals to close the case due to the lack of evidence of any crime have been rejected by the Interior Ministry in spite of definitive conclusions by the tax bodies that all taxes had been paid in full and correctly. Recently, Hermitage’s lawyers learned that the Interior Ministry appointed an expert to find evidence for continuing the case. The expert concluded that there was no basis, but his conclusions have been kept secret from Hermitage for three months. A complaint has now been filed by Hermitage’s lawyers against the Interior Ministry to compel them to close the Kameya case on the basis that it is groundless and unlawful. 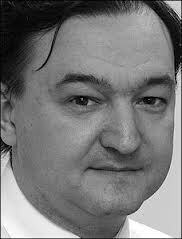 Report “Refusing Impunity for the Killers of Sergei Magnitsky”:http://www.assembly.coe.int/nw/xml/XRef/Xref-DocDetails-EN.asp?fileid=20084&wrqid=0&wrqref=&ref=1&lang=EN.